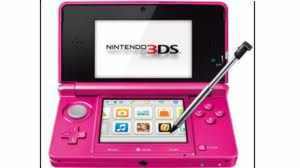 The Nintendo 3DS XL pink colour version is back with a bang just in time for Valentines day. The limited time special one off version is also available in a white colour aswell. The special edition was originally released by game giants (Nintendo) way back in November 2012. Back then, the pink 3DS was only out for a short while to purchase. So if you missed out on buying it, you now have a second chance. Nintendo have stated that it will be the perfect gift for your loved one on Valentines day. The pink version sold out at record speed back in November, and is likely to follow the same example this time round too. So make sure that you get in there quick and get your hands on one pronto. The pink and white 3DS will sell for around £130 or $199 respectively.